Laurel Celik is a Children’s Hospital school health nurse for Akron Public Schools. There’s nothing like watching children run, laugh and play. 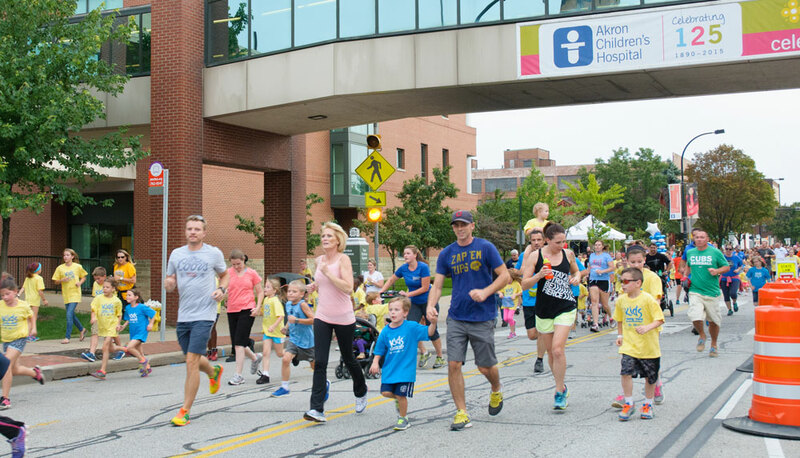 Imagine how great that feeling is when you can play a role in helping nearly 2,000 children join in a special event like the Akron Marathon’s annual Kids Fun Run. Nearly every year that the Akron Marathon has offered a Kids Fun Run, Laurel Celik, a Children’s Hospital school health nurse for Akron Public Schools, has helped at the event as a volunteer and organizer. Plus, she brings teams of volunteers and runners. Laurel enlists many of the schools’ employees to help at the race, while encouraging the kids at the schools to run in the non-competitive 1-mile event. The Kids Fun Run takes place the evening before the marathon itself. Laurel likes that some parents, grandparents and/or family members run with their kids, or even push a stroller or wheelchair. Laurel said when kids and their parents exercise together, it teaches children good fitness habits and shows them that a healthy lifestyle is doable. This is also something she teaches at her job in the public schools. One such lesson involved a Pedometer Program she used to lead 5th graders at Judith A. Resnik Community Learning Center through a walking challenge. Each child received a pedometer to track their steps during the 6-week program. The steps were calculated and charted on 3 maps: Summit County, Ohio, and the U.S.
“The students used the maps to see how far they had walked,” she said. The lesson made a difference by controlling the kids’ body mass indexes (BMIs) and encouraging them to move more. For some of the children, it prompted them to commit to ongoing exercise. Too many kids aren’t getting the amount of physical activity they need, Laurel said.